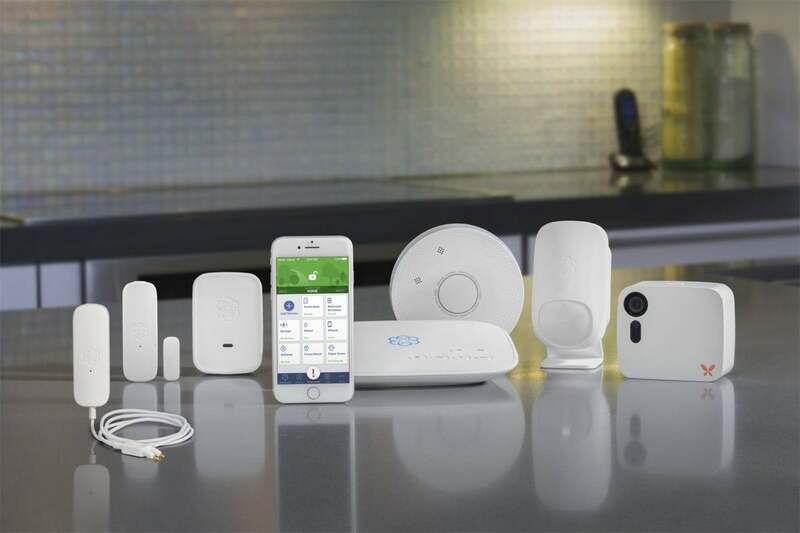 Ooma Home additions include a smart video camera, smoke alarm, siren, and automatic arming/disarming. Ooma, a company long known for VoIP phones and phone services, recently jumped into the home security market with an inexpensive DIY kit The company is now demonstrating several additions to its Ooma Home Security system, including a smart video camera, a smoke detector, a siren, geofencing capabilities, and integration with a garage door sensor from VTech..
Last month, Ooma announced it had purchased Butterfleye, Inc., an AI-powered video camera and security platform. 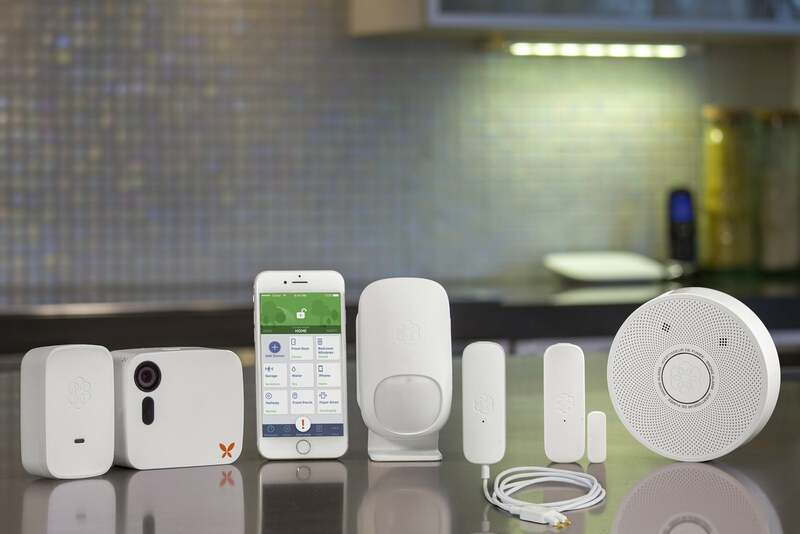 The company has integrated the Butterfleye smart video camera into the Ooma Home security system, which already includes motion, water, and door and window sensors, along with a remote 911 feature that connects users to their local first responders. The system provides users with a variety of customizable real-time status alerts via phone, text, email, and app notifications. The AI-powered Butterfleye can detect and recognize different sounds, people, and pets and provide users with instant detailed alerts. It has a 120-degree field of view and supports 24/7 live streaming in 1080p Full HD and two-way talk audio. The camera runs on AC power but also includes a built-in rechargeable battery to assure any video evidence is preserved in the event that an intruder cuts your electrical power. Ooma Home is expanding to include a smart video camera, smoke alarm, and siren. Users can also configure the Ooma Home system's sensors to trigger the Butterfleye to record. A siren and smoke detector are also joining the Ooma Home lineup. When the system is armed, the siren can be configured to sound a 100dB alarm whenever a sensor is triggered. The fully certified smoke detector works with Ooma Home to alert users when smoke is detected, whether they’re at home or out. They system also now integrates with the VTech garage door sensor to alert homeowners when their garage door is left open. New geofencing capabilities will automatically arm and disarm the security system based on users’ proximity to home. Using each users’ smartphone GPS, Ooma Home will activate the system when the last recognized user leaves a customizable radius, and it turn it off as soon as a recognized user returns. The Butterfleye smart video camera will retail for $200, the smoke detector for $60, and the siren for $40. All three will begin shipping in the first quarter. The water, motion, and door and window sensors are available now for $30, $35, and $25 respectively. The VTech garage door sensor costs $30 and is also available now.